Welcome to my Biokinetics page. I am a Cape Town Biokineticist that is based in Wembley Square in Gardens. If you are new to the concept of Biokinetics the short and sweet version is that Biokineticists are exercise specialists. We sell exercise. It is obviously a bit more complicated. But essentially Biokineticists are medical professionals that will assess a patient’s needs and then prescribe exercises accordingly. Feel free to browse my Biokinetics webpage and send me a message on the contact section if you would like me to contact you to arrange our first meeting. If you are shoved into a generic Pilates class or force-fed the same tired dogma of core stability it is time for a change. It is important to read wider than just the echo chamber of core and Pilates posts in your local magazine or Facebook feed. If you need bespoke exercise advice, seek out a Biokineticist / Physiotherapist with special interest in low back rehabilitation, but do not settle for mediocrity. Science has evolved and the Biokineticist / Physiotherapist that claims to be current and up to date with best practice needs to give you way more than just core. Like Phillipe Petit on his wire you need a dynamic approach to your stability. If you are injured and want to use exercise as a modality it is important that you realise that the exercise does not treat pain. Exercise may alleviate discomfort and improve functional ability. But it does not treat the pain directly. Likewise, when you seek the advice of a Biokineticist or exercise specialist they should not have the goal of trying to treat your pain. They need to treat you. The patient. Not the pain. In the process of the exercise journey the pain may diminish. This is more often than not due to the exercises addressing the causative factors rather than just the symptoms/consequences of your particular injury. 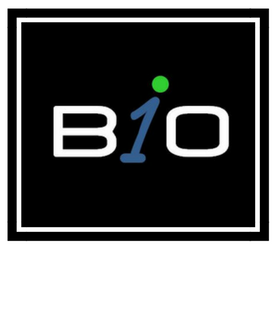 In terms of a treatment timeline you can see the Biokineticist for an initial consultation and programme and then decide on weekly training based on the nature/severity of your injury/illness, as well as your compliance to exercise rehabilitation. It may be necessary to see the Biokineticist more frequently in the early stages of rehabilitation and then slowly wean off into independence. Please note that it is not implicit that you see the Biokineticist weekly. You can visit them sporadically provided that you are compliant with your exercise rehabilitation programme.